Farflame interviewed David Zakal, founder of Black Geyser: Couriers of Darkness, for which a Kickstarter campaign is running at the moment of publishing this interview. A year ago Farflame made the statement that "Black Geyser looks like the best unknown RPG nowadays". Perhaps this interview will show if this is true or not. RPGWatch: Could you briefly introduce yourself? 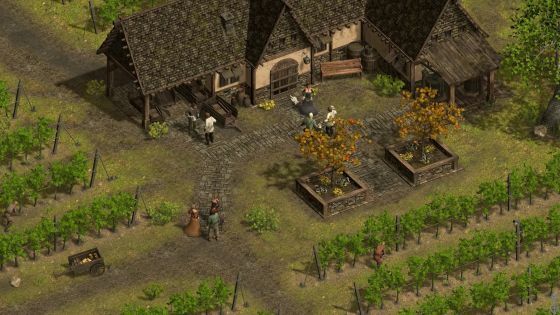 How did you get the idea to found a studio and start developing isometric CRPG? 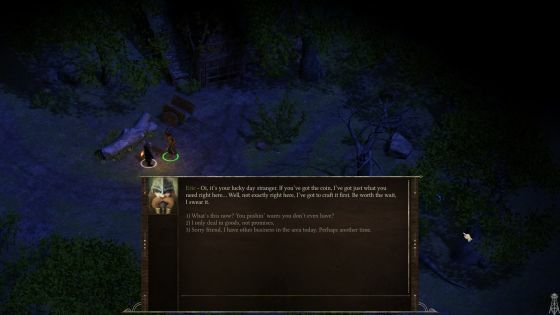 David Zakal: I have always been a lover of classic-style CRPGs such as Baldur's Gate or Icewind Dale. Magical atmosphere, exciting story, memorable characters. At the same time, I have always enjoyed creating quality software, be it a game offering a new world with boundless adventure, or something else like a useful framework or toolkit. A piece of work that others also enjoy. As a software architect and CEO, I have worked with several big projects throughout my career, but none of these were desktop games. In 2013-2014 I decided it was time for a change, and founded my studio, GrapeOcean Technologies. Since then, several talented people from the video game industry have joined our team. RPGWatch: Could you briefly describe how you organise your work? For example, do you have problems to keep schedules? Do you review together all work regularly? BTW some devs said tools are very powerful nowadays and this is the best time for small indies to create their games. Do you agree? David: As a modern development studio, we employ state-of-the-art methodologies. Our team members come from different backgrounds and industries (business software, game industry etc. ), all bringing their own approaches. Therefore, in our early period, it was a challenge to build a team that combined the virtues of different approaches. Another problem was funding. Since we are a new studio, it was difficult to find investors. Keeping schedules was never a problem thanks to our expertise with business projects. If you do not deliver enterprise software on time, customers do not pay, and sometimes you have to pay them for your delay. While this expertise helps us a lot, the game industry requires a unique approach and philosophy in several aspects of the development process (which we lacked back in 2014). Since then, we have learned a lot and extended our team with experienced game industry professionals. Current tools are indeed powerful - in the right hands. They do not substitute for rigorous financial planning and disciplined development, however. It is a great time for indies to create games, but you still need a strong team with strong skills. David: Due to the enormous amount of original lore we are talking about, I think the easiest way to give you an idea about our races and classes are similar games. We were inspired by games like Baldur's Gate a lot. Our lore is original, but the philosophy and mechanics behind many things is similar to the abovementioned school of classic CRPGs. Our classes are a good example of how we are similar, yet different from those games - like how our spellcaster classes have a more specialized and conspicuous relationship to their corresponding favored spell classes. For example, if you choose a Shaman (known to favor spells in Unnatural, Spiritual and Ritual spell classes) instead of a Wintermage, you will experience the pros and cons of your choice much more than in other classic-style CRPGs (think of exclusive spells). This does not mean your characters will not be customizable or that they will have no common spells and skills available. Regarding your question about elves, white elves in Black Geyser (the Feldegug) have a harsh history, which made them significantly different from wood/high elves (known as deroni elves). Therefore, in this respect, we can see an analogy to the Drow in D&D. A difficult past is not uncommon in the creation myth of races in Black Geyser: Couriers of Darkness. Dwarves and Rillows also have it. Rillows are masters of herbs and illusion, and are available as a stretch goal race in the Kickstarter campaign. RPGWatch: How many non-combat skills and actives will there be? For example, camping mechanics like in Expeditions: Vikings, hunting, gathering herbs, crafting, social skills? David: Non-combat skills are Bargain & Persuasion, Learning & Research and Brewing & Drying. You can brew potions from various ingredients you collect (herbs, insects, or even a dead monster's eye). A similar process with similar ingredients is called Drying. It allows you to create powders that you can use in combat (Throwing weapon skill is applied), or put them silently on the skin of unsuspecting targets with your Thief or Swindler. An example is Powder of Stunning. Crafting skills are supported by the rule system, but their exact implementation is not done yet. However, there are a few highly skilled individuals (for example, a famous blacksmith) in the game who can craft magical items for you if you deliver the parts and pay the price. RPGWatch: Should we expect some active objects in the game world? I mean something like altars or magical devices that could be activated or examined? David: Absolutely. There are signs and writings you can read by clicking them. Active objects are switches, levers, altars, statues etc. you can manipulate. In addition, do not forget about the various traps. RPGWatch: You have good variety of weapons. How much do they differ from each other? Different advantages or disadvantages vs different types of armor, range, skills associated with weapons...? David: There are nine weapon skills. If a skill is not available to your class, you cannot use weapon types that belong to that skill. Special class- and race-specific restrictions may apply as well. For example, a Druid can only use weapons made of wood, ice, stone or (non-ore) minerals. As you said, different weapon types are effective against different types of armor. RPGWatch: Let's talk about combat. When I read about deep tactical combat, I imagine things like... Importance of positioning to intercept enemies. Tactics how to stop the most dangerous foes. Enemies that can choose targets. Good encounter design. Variety of enemies with different skills/spells, even enemy hero groups with strong skillsets. Tactical spells that are important. Mages with special magic defenses that needs to be breached. Mana. Unfortunately, in last years these aspects are more or less neglected because of the simplified MMO-style combat. We have "tanks" with simplified "aggro" mechanics instead of positioning. Every char has a set role (tank, damage dealer, healer) and enemies are more stupid so fights are more generic. Enemies have less skills so tactics is less important. We have fast cooldowns so it is more about spamming everything. Etc. I dare to say it is not tactical combat, it is just an illusion. So how much is combat in Black Geyser inspired by either of these two extremes? David: Tactical combat and intelligent AI is a key feature of Black Geyser: Couriers of Darkness. Various default party formations are supported, and you can set your own custom ones as well. Positioning is very important in combat, and enemy groups will do it too depending on how clever they are. Enemy AI is backed by an extensive scripting system, allowing enemies to cooperate and pick targets intelligently.They are able to take into account a number of factors such as how injured your spellcasters are or if they have a (visible, and thus noticeable) magical shield that protects them. The most primitive example of their cooperation is their mage attempting to dispel the shield of your mage to prepare for an attack from their archers. Having said that, keeping the unique atmosphere of the game and an engaging flow for combat is something we strongly insist on. While the game will offer vast possibilities for tacticians, we will not sacrifice game atmosphere and flow for self-serving, excessive tactical mechanics. So, you won't find spells such as „Protection against dispel magic of defensive shields." Additionally, players who don't prefer tactical combat as much will also be able to enjoy Black Geyser, however, key battles will be no free lunch for them either. You mentioned hostile parties. Indeed, greed-infested hostile adventure parties and (fallen) heroes can be encountered. An especially challenging feature of Black Geyser is that battles may be followed immediately and spontaneously by another battle (or by several additional battles in a much more chaotic kingdom­-don't forget the spreading of greed!). This is because some adventurer parties (sometimes strong ones) are hunting for easy loot and they exploit the fact that your party-no matter how high-level-is weakened after an exhausting battle. Tactical combat is supported by our clear, slot-based spell system as well. Therefore, there is no mana or magic point mechanic, and the the cooldown/recharge is pretty straighforward as well. The system offers two types of spell slots: Base-energy slots and Elevated-energy slots on every spell level. (Elevated-energy spells are usually more powerful than base-energy spells, and have other specialties as well.) Spells and special abilities require memorization via natural deep sleep (e.g. Party Rest), so you cannot normally re-memorize a spell during combat. This is one of the reasons your tactics for harder battles must be carefully planned beforehand. 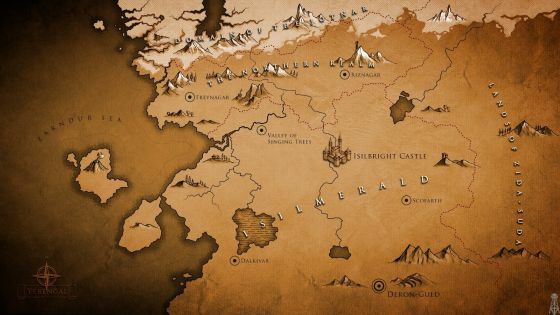 This doesn't mean, however, that you cannot cast many spells during a battle if you wish: at high experience levels, your spellcasters will have several Base-energy slots on each spell level and a decent number of Elevated-energy slots as well. This is good news for players who prefer a more flexible way of spellcasting and want to choose spells more dynamically in combat based on the situation. RPGWatch: Can you talk about some of the tactical spells in Black Geyser? I mean spells like mass slow, stun, freeze, curse etc. Can enemies use them too? BTW is your AI able to surround your group or something like that? David: Breeze of Spring is a powerful Natural spell that affects all eligible creatures within its area of effect. It heals party members (almost as much as a healing spell), damages undead creatures, and severely damages cold-loving creatures such as ice trolls and frost giants. For another example, there are summoning spells that create immobile eggs or seeds that are protected from external effects and will spawn their actual summons at a later time. Such summoning spells are also very tactical, because they basically act as a timed or conditional summon (e.g. the egg opens when certain external criteria are met). This is a bit similar to contingency spells in D&D, but the mechanism is of course different. Yes, enemy AI will also greatly rely on spells. Surrounding your party as a decision of group AI is a question I cannot answer right now because we are still working on making enemy tactics as interesting and engaging as possible, and I do not want to give too much away. RPGWatch: Is there some form of level scaling or respawn for enemies? And is loot random or hand placed? David: Intelligent design is crucial in this matter as well. As a general rule, loot is hand placed and there is no level scaling and unjustified respawns. However, since the world is alive and changing over time in Black Geyser: Couriers of Darkness, your environment will adapt to you as well. For example, in an area that has been favored by organized bandits from the beginning of the game, your higher-level party might be attacked by stronger and more bandits than before, because you have reputation and wealth. Organized clans know this information, and will focus their forces accordingly. On the other hand, there will be certainly no changes in areas favored by unorganized ruffians or primitive creatures (unless they are intelligent enough to realize they should avoid you). RPGWatch: The most "controversial" element of your game is clearly greed mechanics. Could you sum it up from the perspective of lore and design? What is the purpose? You wrote that greed of NPCs affects the game world. I wonder if your choices in dialogues or your way of solving quests can influence the behavior of NPCs - so they will be more or less greedy in the end. Debate on RPGWatch sounded like it is mainly about your heroes. David: Greed is deeply rooted in the game lore, and is very special because it has a dual nature: it has a divine origin, but relies and feasts on the very nature of mortal beings. It exploits something that every mortal has had since his or her creation. It confronts us with our own dark side that has always existed, turning it against us. Mortals turned by greed become connected to the divine source (divine nature) of the curse, increasing its global strength. This corrupts even more mortals, resulting in a cycle of feedback to the evil divine source. In Black Geyser, greed is ubiquitous and transparent. Its purpose is to add a brand-new dimension to your playing style that you can choose - or choose not - to take into account. If you ignore it and play the game in your usual style (for example, you accept always the most valuable quest reward, never donate in any temple etc. ), then you implicitly made a decision after all. There is no way to ignore it, because you automatically make a choice with your playing style. As the game plot advances, the kingdom becomes even more chaotic: law-abiding commoners turn hostile in the street, shopkeepers go insane and ask extreme prices from you. You may come to think that this is the only storyline (path) of the game. However, it is not - it is the result of a particular approach to greed. It does not make this path inferior or superior to other paths. Some players enjoy chaos. Chaos does not mean you are evil. (Although the Chaotic Good alignment in D&D is completely unrelated and different to our greed concept, it is also an example of how the concepts of chaos and goodness can live together.) You can be good and greedy at the same time. They are greatly independent dimensions. Being greedy is not a black & white (yes/no) question but a scale instead - between the absolutely greedy and absolutely generous. This also means that NPCs affected by greed are not necessarily evil. If they hire you for a quest to retrieve an item because of their greed and you complete the quest, you were good but contributed to the divine curse of greed. If you complete the quest but keep the item for yourself and even kill the innocent NPCs, you were evil and greedy. If you persuade them to change their mind about the quest, you were good and also fought against greed. And so on and so forth. When you choose to be more generous and/or convince other NPCs (influencers) to do the same, then you try to break the feedback cycle to the evil divine source that I mentioned earlier. While there is no way to break it completely, you can slow down the process, resulting in a "better", different state of the world by the time you reach the last chapter of the game. And different state means different challenges (perhaps even a different type of final battle?). The impact of your decisions on the global level of greed depend on a number of factors, such as your reputation. For example, when you start the game with your level 1 protagonist with zero XP and a low reputation, the contribution of your decisions to the world's greed is minimal - not much more than of a commoner or peasant. There's a lot more the players will learn about greed, though - since greed is a huge part of the original lore in Black Geyser, there is no way to explain all of its details within the scope of this interview. RPGWatch: Are you not afraid that many players will not accept this greed mechanics? BTW when I was a kid I read some retrospective about old game named Druid. It had one mechanics that was praised at the time - it allowed taking only one item from every chest so you had to pick what you needed the most. This idea was really praised as being tactical. So I wonder - why some games could not try it? Games are not realistic simulations. Are players too much focused on loot nowadays? Because as we know there are ARPGs with tons of loot (often crap). David: While I understand how hesitant experienced gamers can be about new and unusual mechanics, I think players will come to enjoy the greed mechanic and appreciate how deeply it enriches the game world. The game is enjoyable regardless of the path the player chooses, and if you choose you can ignore greed entirely (though obviously that will have consequences). Of course, there will be players who will not want to use a generous, altruistic playstyle (for example, by leaving your ordinary loot behind to poor scavengers who need it more than you). Unfortunately, there is no way to suit everyone's taste in the gaming market, but we believe players will like the greed mechanic once they get used to it. RPGWatch: Why don't we see more alien companions in games? I heard there is/was some trend to create mostly humanoid companions in RPGs - despite the fact there are alien races in these games. I'm not sure if its true or what would be the purpose of this trend or demand. What do you think about that? David: I cannot comment on why that is so uncommon in general, but I think it is because game studios (those who produce RPGs in particular) want players to be able to relate to the characters they are playing as much as possible. It is not much of a stretch to play a humanoid fantasy race, but it can be a challenge getting players to really identify with an amorphous cloud monster who communicates by whistling (that is not in our game, just an example). Even in games where there are playable monstrous characters (think Morte from the first Torment) they tend to have very human personality characteristics. It is probably possible to create a truly alien NPC companion, but it would be difficult to implement well. RPGWatch: Puzzles and using of items was common in old dungeons and RPGs. Then it disappeared. Do you think that some (light) puzzles should return for both CRPGs and ARPGs? We have internet now so even action players can find help if stuck. David: I disagree. I think puzzles are relatively common in the CRPG genre. Two recent games, Divinity: Original Sin and Pillars of Eternity both had notable puzzles, and I see it often in other RPGs as well. It is great to see puzzles in games though - it varies the experience and makes games more enjoyable for a broader audience. RPGWatch: What do you like or don't like in RPGs nowadays? Do you have some favorite ones from last years? David: I like the direction games have been taking in focusing on storytelling. The Witcher 3 was a great example of effective storytelling with appropriate pacing. And the resurgence of isometric CRPGs is a boon to fans of the genre; there have been a lot of good titles in the genre lately. PoE and D:OS 1 and 2 were all very much worth playing (and maybe worth playing again while you wait for Black Geyser!). RPGWatch: One famous developer recently said that there is more room for RPGS to grow, action oriented titles like Bethesda's Fallout, and TES are examples of that. Do you agree with that or where do you see more room for innovation or "new" direction for RPGs? David: AAA Action RPGs have their merits, and whether or not people like Bethesda's games they have definitely put their mark on RPG gaming. Our studio has, of course, set out in a different direction in our approach to innovation. While we have been inspired by Baldur's Gate and other games in the genre, we pride ourselves on providing a unique and memorable experience. In any case, changing the direction of any kind of game has to come gradually and exists in a delicate balance. On the one hand, players have things that they generally like about a certain kind of game and they do not want to see a similar game remove that feature. On the other hand, playing a hundred close variations of the same game can get boring, even for people who love that kind of experience. Black Geyser, in turn, has a lot of novel ideas, but we also want to stay true to what gamers love about CRPGs. We want CRPG fans to find a lot of what they already like - but we also want to provide a fresh, exciting experience.